Retail is a unique sector, in that most of us can claim to be experts in it. This is to say that most people – the vast majority – are shoppers themselves. But even the most dedicated shopper of today would be unable to predict the way the industry will shift in the next ten years. 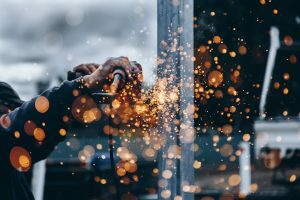 Innovation brought about by new technology will change almost everything about daily life on the shop floor – aside from the importance of good customer service. 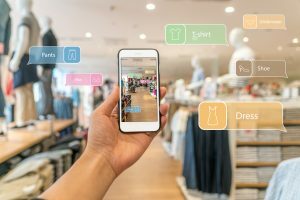 So, in this blog post I’m going to look at the top five innovations that are set to transform the retail sector by 2025. The most important thing for the retail industry has always been, and will always be, good customer service. And this means having great staff who can use their expertise and emotional intelligence to help point customers in the right direction. But it’s becoming harder and harder to retain staff, especially in a workplace like retail, which has set working hours from Monday to Saturday. Our Workplace 2025 research highlighted that 87% of retail firms view their current working hours and practices as too rigid. In the future, the retail industry will have to offer flexible working to hold onto its talent. And this should be easy, since video chat technology will make it possible for retail staff to advise customers from their homes. It makes sense that customers who are shopping online, from their own home or workplace, will still want an expert’s opinion on their purchases. In this case, it’s likely they will want to video call an employee – who could be located anywhere. Video chat will also make it easy for employees to communicate with suppliers and their store’s head office from home. So, if they need to spend some time strategizing about the upcoming season, or having a meeting with the management, they will be able to do this over video. And, of course, staff will be able to attend training sessions virtually through video chat, without having to leave their house. By 2025 it’s likely that there won’t be room for office space in stores – it will all be the shop floor. And the need for office space will dissipate over time too. 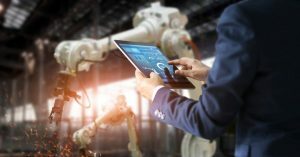 The back-end administration that was previously carried out in the office (onboarding new starters, stock checks, accounting) will be undertaken by robotic process automation, or it can be done through a mobile device or from home. Staff meetings can happen virtually, click and collect stock can be distributed automatically at collection points in train stations and public spaces. There will simply be less need for an office area in a retail store. This is better for staff members, and it’s better for customers too, since they will have more floor space to browse and enjoy the shopping experience. Stores will probably start creating new areas to add a different dimension to the customer journey – there might be ‘chill-out zones’ for example, where customers can sit and chat about their purchases with their friends. In the retail workplace of 2025, the wearable will be king. Every employee will have their own personalised wearable device, set to their preferences. This will allow them to communicate with the rest of their team without having to leave the shop floor. It will also allow them to view important information about stock levels, sizing, or available models which they can relay immediately to the customer. Plus, wearables will help managers to locate their workers in a store. If something happens in a particular area, they can see who is closest and ask them to attend to it. Equally, wearables allow employers to look after the wellbeing of their staff by monitoring their levels of stress and exertion, alerting the manager when they have gone too long without a break. Wearables will be so valuable to employees that they will be kept in perfect working order by predictive maintenance. If it looks like they might malfunction, they will send an alert to the user ahead of time, so that they can apply a fix and avoid the device breaking down in the middle of a customer interaction. The potential for virtual reality to enhance the shopping experience is huge. Customers will be able to overlay their existing wardrobe with clothes they are thinking about buying, to see if they will work well together. And this doesn’t just apply to clothes – the same is true of electrical goods and household furniture. You will be able to see if it fits into your home without having to take it all the way home and try it. It might mean that changing rooms are no longer necessary – people will be able to use VR kiosks to see what they would look like in the clothes they want to buy. Being able to speak to every customer as an individual is the height of customer service. It was difficult to achieve this in the past, but in 2025 retailers will be able to request information directly from customers’ devices. This means employees will know the customer’s size, colour preference and favourite style without having to ask. And further to this, they will also be able to see where the customer normally spends time, and where they are planning to go in the future, so they can choose clothing or products which will be suitable for the weather and conditions in those areas. And personalization will even extend to delivery. Customers will be able to select where and when they want their purchases to be delivered – it could be directly to their house, or to a collection point at the end of their commute. Ultimately, these five innovations will produce a retail industry that is almost unrecognisable from the one we see today – aside from the fact that employees will be at the heart of it all. Wearables, VR and video chat will enable workers to be more present and engaged at times of customer interaction. This will not only result in a better experience for the customer, but a much better experience for the employees too. So the future looks bright. If you walk into a shop in 2025, you might not recognise what’s happening – but you will definitely notice satisfied customers and happy employees. Read our whitepaper to learn more about the innovations taking the retail industry by storm here.